Sandy Springs Car Show and Festival with Insignia! As many of you know, Caring Companions of Atlanta LOVES helping partners with their events and are in the midst of doing just that with Insignia Senior Living. 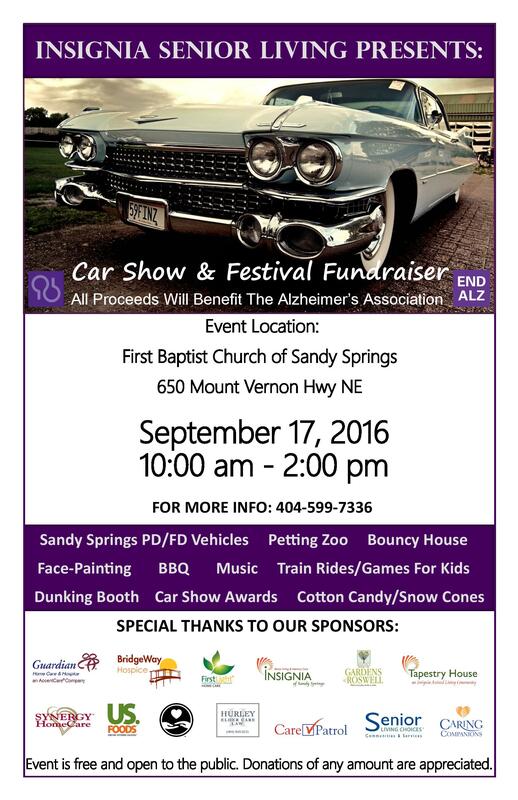 This coming Saturday, September 17th, we are part of a car show and Alzheimer’s fundraiser with them. The event will take place at the First Baptist Church of Sandy Springs at 650 Mount Vernon Highway NE. The event goes from 10 AM to 2 PM and will feature not only the cars but also, a dunking booth (any volunteers?! ), food, a bouncy house, face painting, mini train rides and other fun stuff. 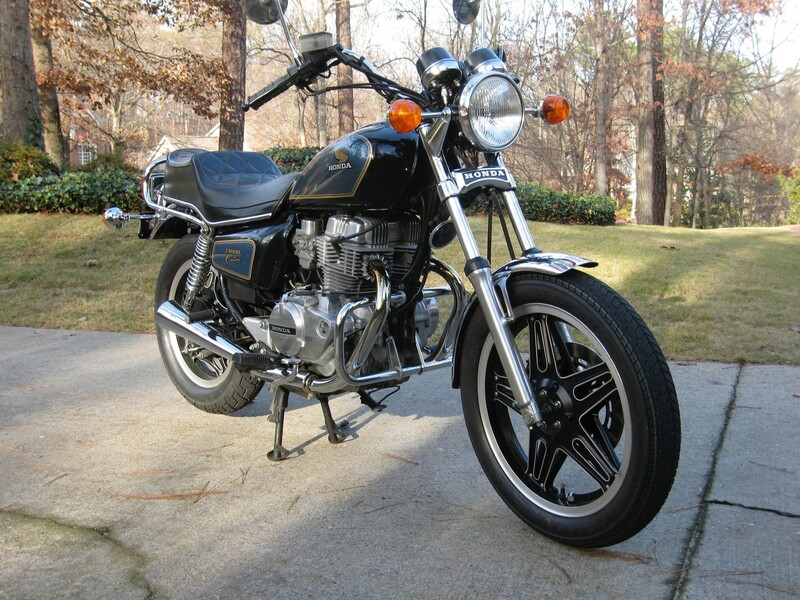 But the biggest news is….drum roll…my little, old motorcycle with be proudly shown as well! 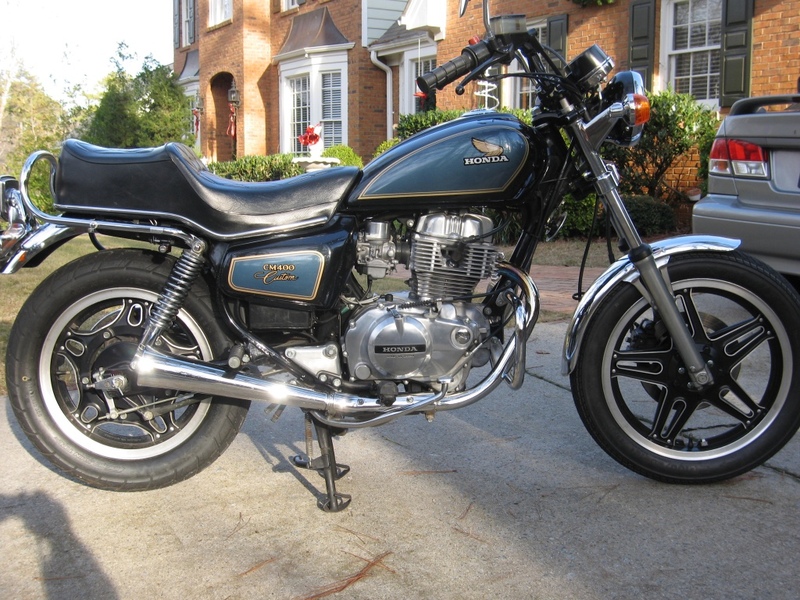 I bought “Blue” (a 1981 Honda CM 400C) about 35 years ago and she remains my faithf ul companion. We have logged some 13,000 miles together and she’s lived in 3 states. She took me back and forth from Chicago to Madison, Wisconsin while I attended college. I vividly recall my first ride on Blue..I picked up the bike at RPM Honda in the Roger Park neighborhood of Chicago. I paid about $1,100 all-in and rode off the lot. I was so nervous, my legs stuck straight out as though I was taking flight. I remember the guy yelling “DON’T TRY TO STOP IT WITH YOUR FEET! USE THE BRAKES!” I was scared stiff but made it home. Since I got Blue, I have had a bunch of other bikes. But they just come and go. Blue will never be sold. Please do come to the event this coming Saturday…we will have a ton of fun and you can have a brush with greatness by meeting Blue. Plus you will get to see Jennifer Franks and Chelsea Taylor from Insignia of Sandy Springs. They create endless fun and entertainment for their residents and I am happy to be included from time-to-time!